As a community of women created in the image of God, called to discipleship in Jesus Christ, and empowered by the Holy Spirit. We commit ourselves to grow in faith, affirm our gifts, support one another in our callings, engage in ministry and action, and promote healing and wholeness in the church, the society, and the world. 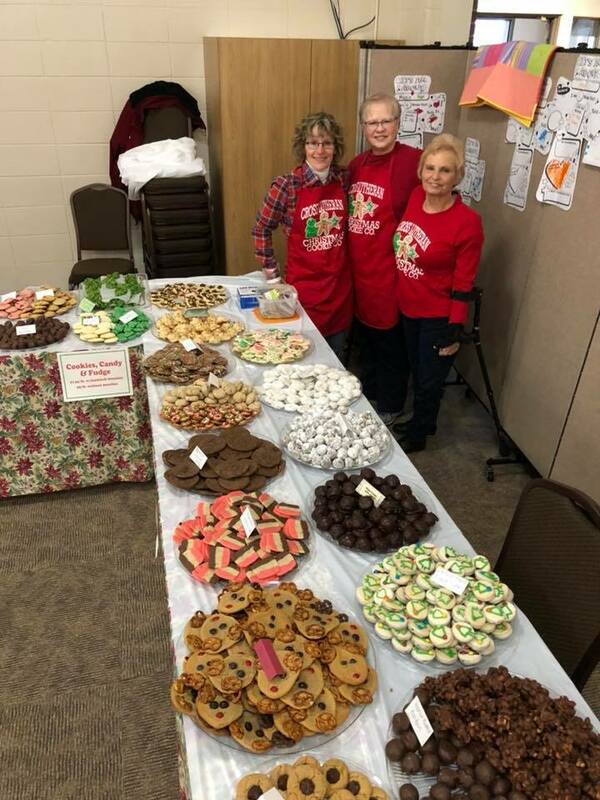 The women of Cross strive to support global, community and local underprivileged needy people through our annual Cookie Fair and quiltmaking. We encourage growth in the faith journey of our youth through Bible Camp camperships. 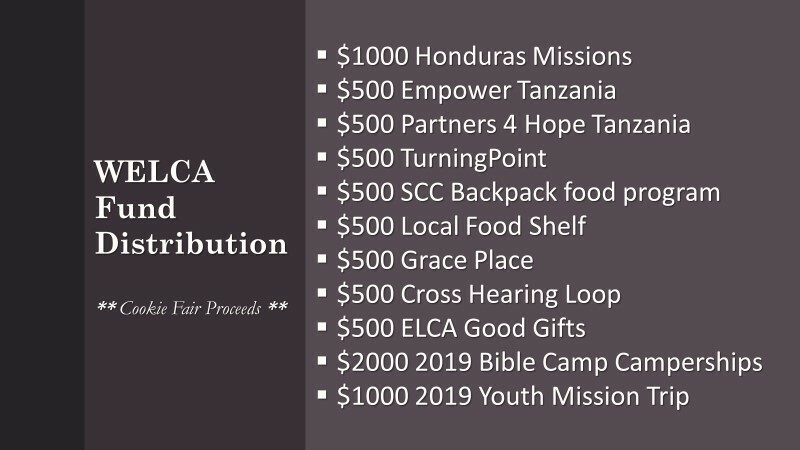 To learn more about WELCA contact the Cross Lutheran at 715.749.3551.